Depending on the specification of your car your seat might be full manual, full electric or a mixture of the two. If it’s a mixture, then you might have manual slide forwards and backwards but electric control of the seat back’s pitch. 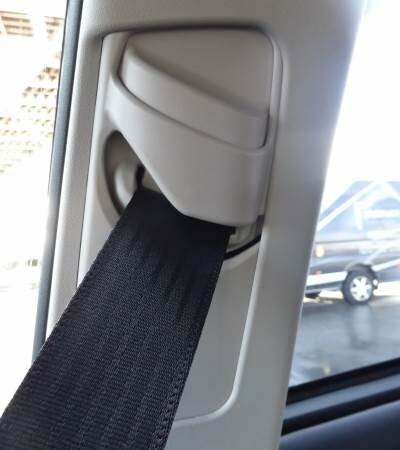 The image above shows the metal bar at the front of a seat which allows you to slide the seat forwards and backwards – pull it upwards to allow the seat to move. If it’s not like this, it will be a rounded lever on the left or right at the front. Holden and Volkswagen, among others, use that type of lever. At the side of the seat, where the back of the seat joins the seat squab (the bit you sit on), you’ll find either a lever or a rotating dial to adjust the pitch (angle) of the seat back. The image below shows the handle on the left. 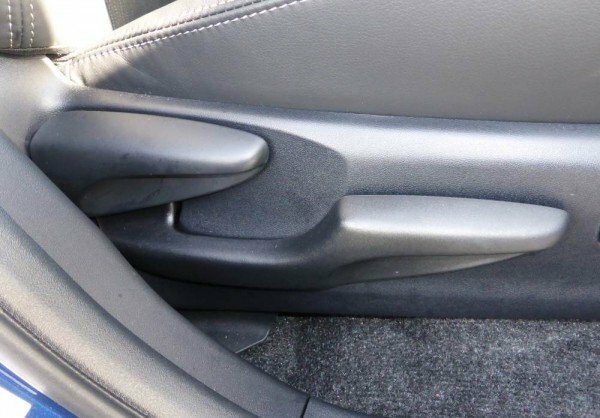 In the picture you can also see another handle on the right and this is used to adjust the seat’s height. The specification of your car depends on how many different control options you have available to you. The only thing missing from this ensemble is the ability to change the width of the seat back. The purpose of setting the position is to get it comfortable and safe and the first check is how straight your arms are. Sit back in the seat and reach forward. You should be able to rest the heels of your hand (where your hand joins your wrist) on the top of the steering wheel without leaning forwards. This means that your arms will be slightly bent when you hold the steering wheel properly at either the 10-to-2 or quarter-to-3 positions. If your arms are straight then you will have much less control if you need to react quickly. The next test is that you can reach the pedals correctly. 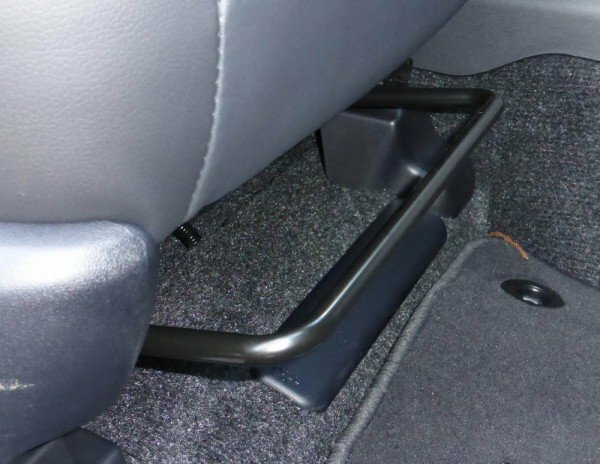 Your car could have up to four pedals in the footwell: from right to left, accelerator, brake, clutch, footbrake (the foot equivalent of a handbrake). You should be able to push the accelerator and clutch right to the floor without moving forwards in your seat. 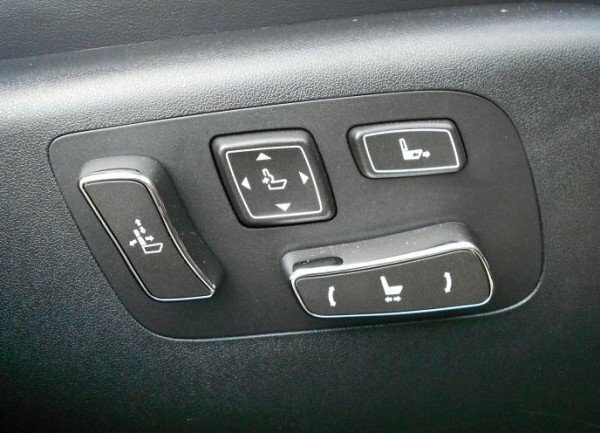 If your car doesn’t have that then you will need to move your seat backwards a bit and tilt the back of the seat forwards a little to compensate for the change in position of your hands gripping the wheel. Check you can still push the accelerator to the floor. If not, you will need to have the brake pedal adjusted. If your steering wheel also adjusts for reach (i.e. you can pull it closer to your or push it further away), then you will have more variation in which to get this position right. Some cars have electric adjustment of the steering wheel. For those of you who are very short or very tall you may find that the seating position will never be ideal. If you have very long legs and short arms then you could end up with quite an upright seat back, and vice versa. Adjusting the height of the seat can make quite a difference to comfort, but makes a lot of difference to visibility. The higher the seat, the more difficult it is to see out of the back window, but the lower the seat the greater the blind spots and the functionality visibility out the sides decreases (you want to be able to see shorter objects so that you can see car bonnets in your blind spot). Check you can reach the gearstick easily. In cars like the Toyota Prius, the gearstick is on the dashboard. As it’s an automatic, it’s not so important that you are changing gears frequently – it’ll only be when you select reverse as the park function is a button above the gearstick. 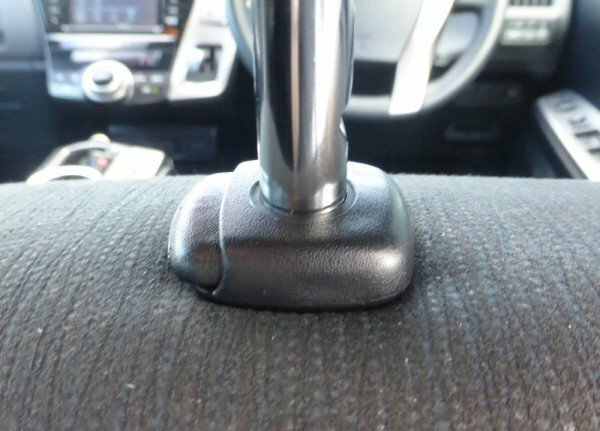 But, if you are driving a manual car you might find that having the seat very far forwards means that your elbow is impeded by the side of the seat when you pull the gearstick backwards. Can you see all the gauges, dials and instrumentation? If you have the steering wheel too high and your seat too low then you might not be able to see them and that will make it difficult to see warning lights and your speedometer. Once everything is perfect save the setting if your car has that function. If it does you’ll see several buttons, usually on the door, and you can assign your setting to one of those buttons. 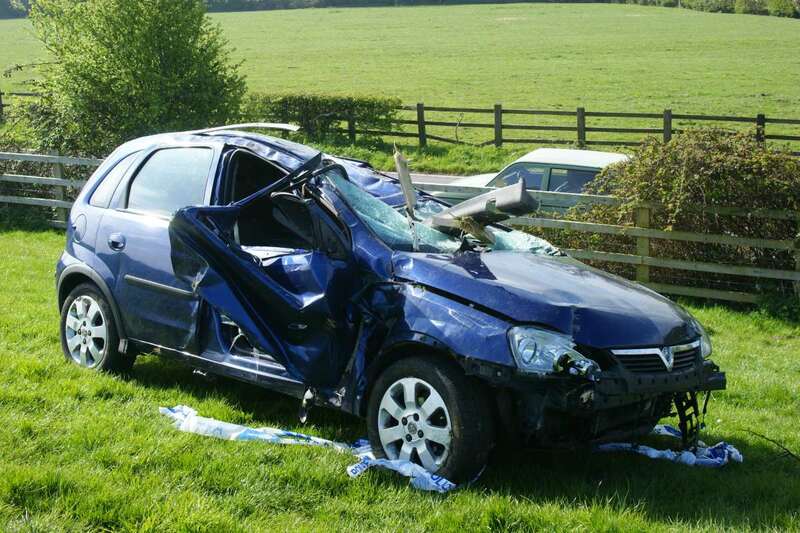 Your final seat position will be relaxed with slightly bent arms and legs, good visibility of your blind spots when you turn your head, and it’ll be easy to see down the side of your car in your wing mirrors and out the back window in your rear view mirror. If you haven’t set your mirrors up yet, here’s how to do it properly. Sitting in a relaxed position means that you won’t get tired as quick. Fatigued drivers have slower reaction times, and sitting in the wrong position also gives you more risk of neck, shoulder and back pain on long journeys. You will have more leverage on the car’s steering wheel if your arms are slightly bent, and this means you can make quicker adjustments if you need to take evasive action. You will be able to see in the blind spots more effectively without having to turn your head unnecessarily. Having your seat too far forwards means you have to turn your head more to see into your blind spot; having it too far backwards means that the B pillar (the pillar next to your head) obscures the blind spot more. Having your seat too low means that the car’s shoulder line (the line along the bottom of the windows) is higher and this makes it harder for you to see what’s at the side of your car on both sides. Having the seat too high (usually because it makes you feel less vulnerable), means that you will less effectively be able to see vehicles behind you. Finally, if your airbag goes off, ideally you want to be far enough away that you don’t get burned by the explosive charge, and the airbag doesn’t hit your face as it’s expanding; you want your face to hit the airbag the moment after it’s fully expanded as you’ll get the best cushioning then. 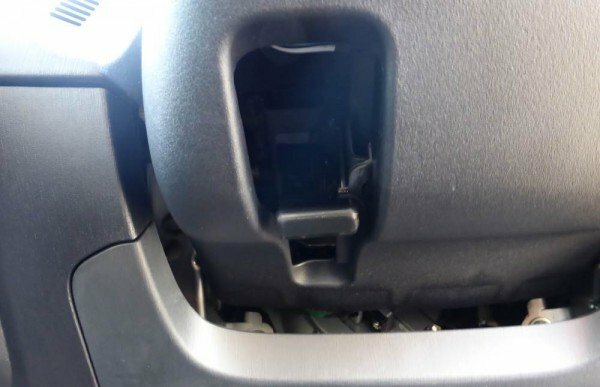 If your knees have plenty of room under the steering column then you will be at less risk of damaging them if you have a frontal impact crash.